We all love pasta dishes. Spaghetti bolognese is a staple dish and I prepare it with or without an occasion coz it's safe to serve in minutes and everybody eats it. There are so many variations to the bolognese sauce and the Filipino style is on the sweet side. Personally, mas gusto ko yung Italian style in chunky tomato-herb sauce and without the sweet flavor. J prefers the sweet-style kaya minsan compromise with the sauce. 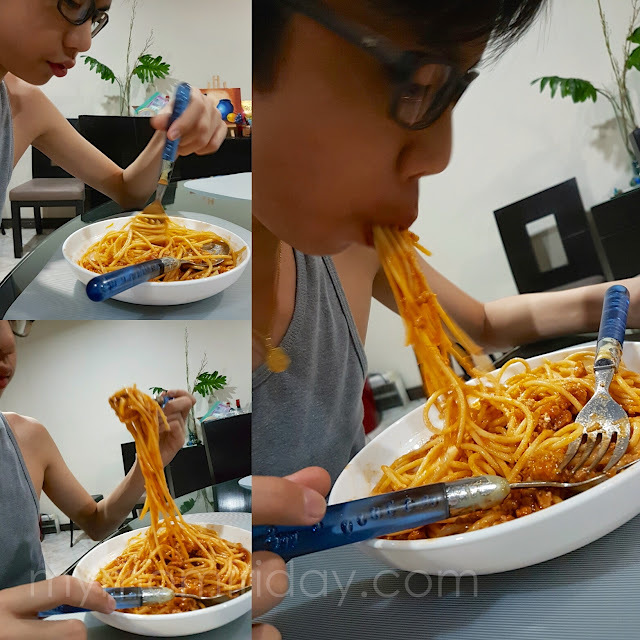 Pinoy parties and festivities are never complete without spaghetti, especially during children's parties. Even the fast food giants include sweet spaghetti in their menus and birthday packages. That's how popular this pasta dish is in this country. 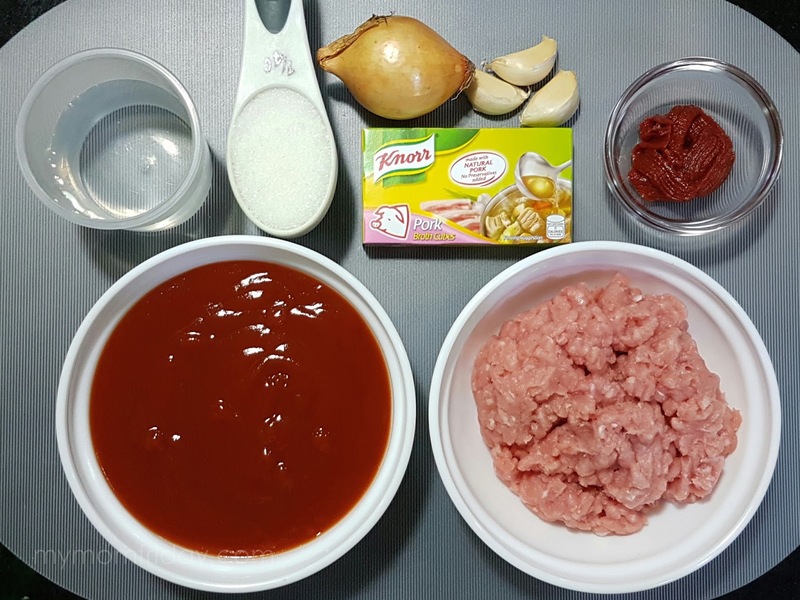 Usually, our spaghetti sauce is made with ground beef, mixed with garlic, onion, chopped bell pepper and mushrooms, plus my choice of tomato-based sauce. 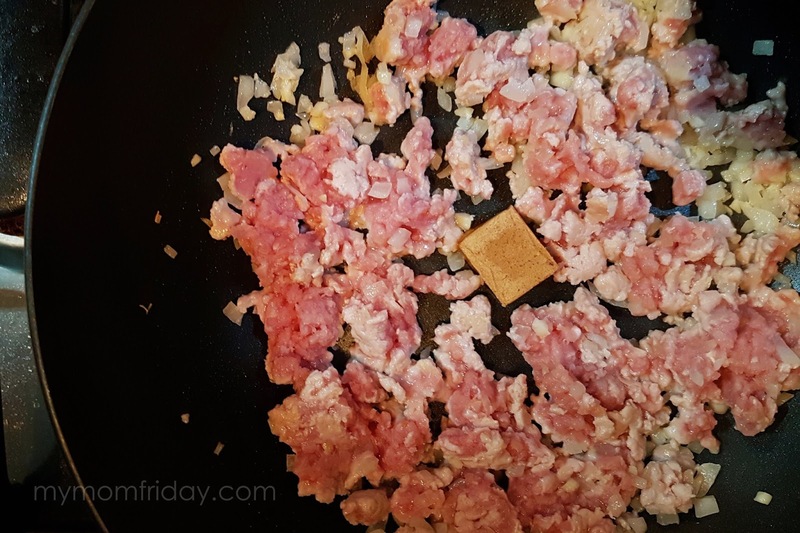 This version called for ground pork with Knorr Pork Broth Cube. Cook spaghetti noodles according to package directions. Drain well and set aside. Add in ground pork and cook until color changes. Add Knorr Pork Cubes and mix with the pork until fully dissolved. Add tomato paste and sauce. Sauté for 2 minutes. Add sugar, pepper and water. Simmer over medium-low heat for about 15 minutes until sauce has slightly thickened. Season with salt to taste. Add more sugar if preferred. Top cooked spaghetti noodles with the sweet style sauce and grated cheese. Serve immediately. Look at that beautiful spaghetti! 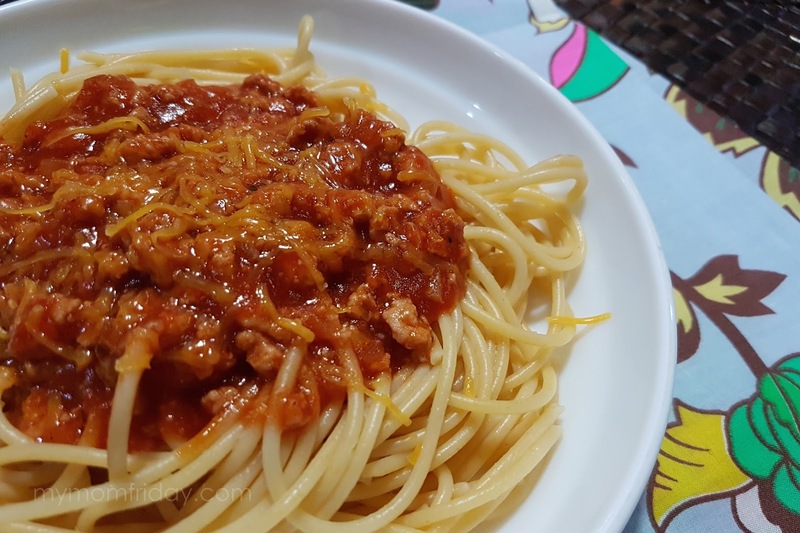 Winner ang sweet style spaghetti with Knorr pork-tomato sauce. Our spaghetti monster at home is the boy. He devours any pasta dish. His favorites are lasagna and spaghetti and he eats a lot of it. 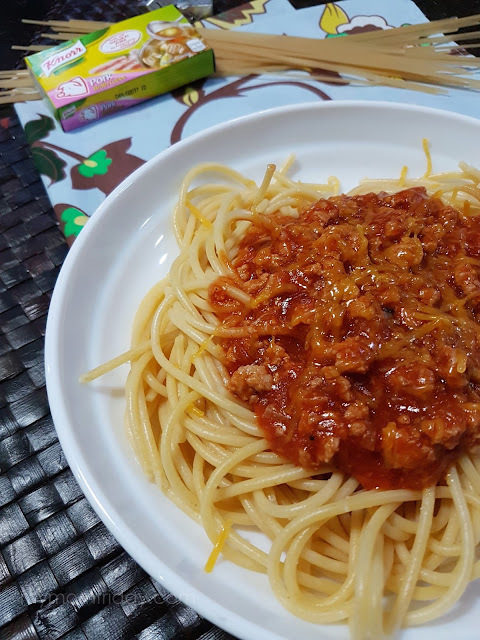 This is the first time I used ground pork with pork cube for a pasta dish. It turned out to be more economical with the use of pork, but just as tasty as the classic bolognese! Of course, you can always opt for ground beef with Knorr beef cube and even add other ingredients you like with this recipe. 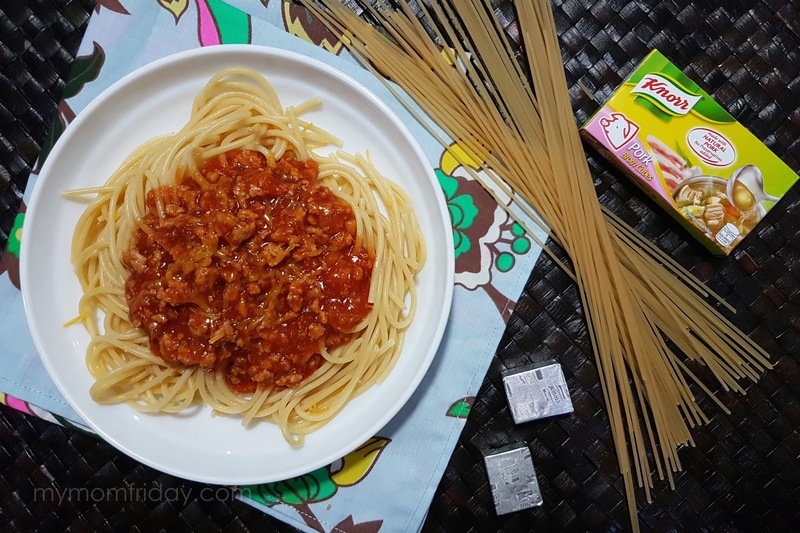 Try this sweet style spaghetti today with Knorr pork cube!